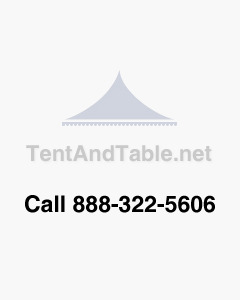 This Used White Plastic Folding Chair is the choice of many event planners and rental companies looking for a discount option for their businesses. Their lightweight design, ease of cleaning and versatility among events make these chair premium grade. Manufactured using high-impact plastic and 18-gauge powder coated metal frames, our white plastic folding chair is great for both indoor and outdoor events. These sturdy folding chairs are easy to handle and simple to transport with an optional cart that can hold up to 50 chairs at one time. With a weight capacity of up to 300 pounds, the white plastic folding chair is built to last a lifetime. Whether it's a graduation, school function, wedding, or family reunion, this quality folding chair provides a simple and comfortable solution for any function that requires reliable seating. Used Items will ship within 15 days from the date of purchase to ensure adequate preparation time. This is a used chair from our current Rental Fleet. This commercial grade used chair has been rented this season. 3/4" tubular steel design is powder- coated to reduce rusting.